“I determined not to know any thing among you, save Jesus Christ, and him crucified” (2:2). Paul had identified a goal for the church at Corinth: “That your faith should not stand in the wisdom of men, but in the power of God” (2:5). He knew this group of Christians could not face the challenge of presenting Christ if their faith was based only on intellectual assent. Their faith must stand on the rock of revelation rather than on the sands of human philosophy. 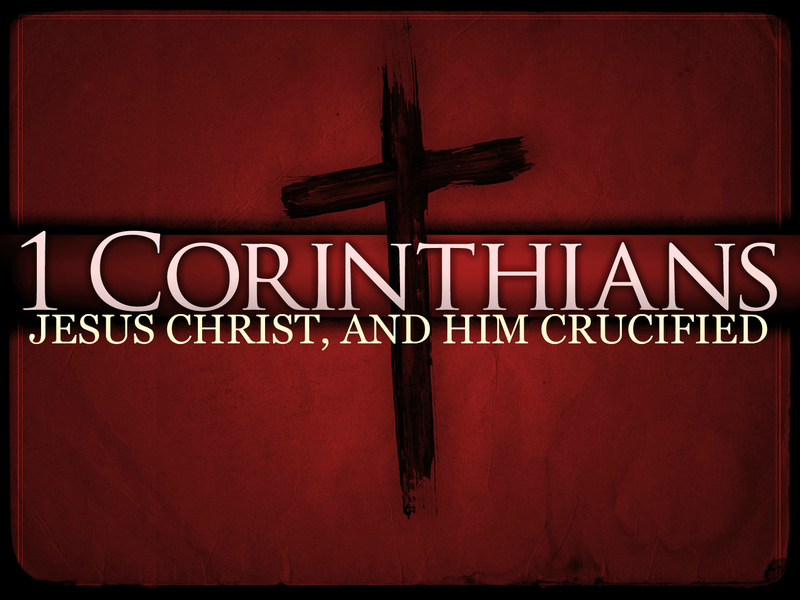 Corinthians would not be influenced by a well crafted argument. Nothing but the miracle of the grace of God revealed in the lives of those who had been transformed by the Spirit of God would impact this city for the Kingdom. The same is true today. If we are going to impact our communities and our world, it will not be by winning a theological argument (though we should always be ready to give a reason for the hope that is in us). The world we live in is far too clever and sinful to be persuaded by a debate that appeals to their intellect alone. What our world needs is the evidence of a life dramatically and completely changed by the power of the cross. What is the impact of your faith? Do others see in you the miracle of the grace of God? As you live, surrounded by the evil of this world, you have a mission that must be fulfilled, to stand in the power of God. This is possible only as we live in the revelation presented to us at Calvary. We must grasp the futility of anything untouched by the power of the Holy Ghost. 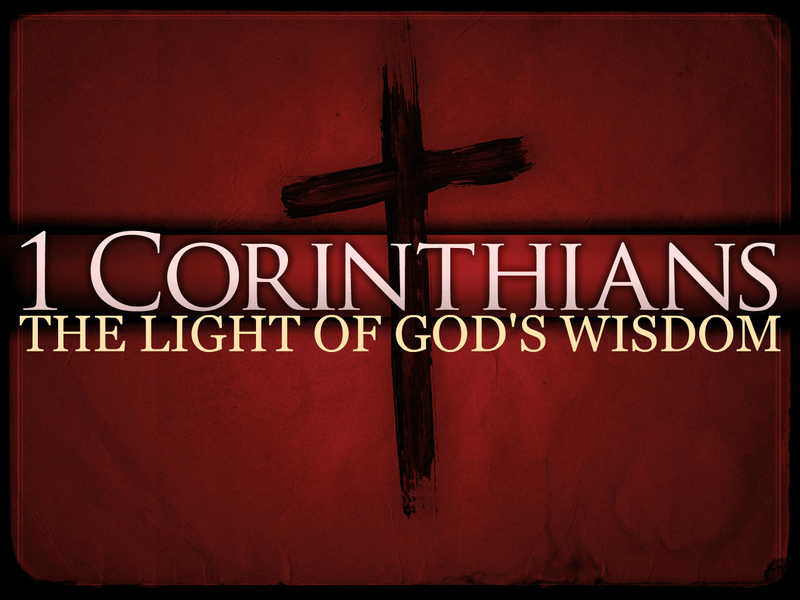 Right through this first chapter of First Corinthians Paul contrasts wisdom and foolishness: the wisdom of men and the foolishness of God, then the foolishness of men and the wisdom of God. It was the wisdom of men that had seduced this church. Division was a plague that was destroying the spiritual health of the people. The remedy for the situation was not philosophy or “the wisdom of words,” but the wisdom of God given through revelation by the Holy Ghost. The moment any Christian departs from the principle of revelation, relying rather on human intellect for understanding God’s Word, all spiritual authority is lost. If we submit the Word of God to our own intellect and refuse to believe in the possibility of absolute authoritative revelation, we lose the power and authority. It’s not in us; it’s in Him. If the church in our day is to invade a city for God, then it must get back to a place of absolute dependence upon the wisdom of God. Each of us is faced with a choice every day. Will we depend upon our human intellect and education to meet the need of the day? Or will we depend on the wisdom of God? Will we trust human wisdom and reasoning? Or will we trust the Spirit to lead and guide us? Please don’t misunderstand me. I don’t downplay the importance of reason and thinking. I only intend to question the source: the wisdom of God or the wisdom of man. Alan Redpath makes a challenging statement, “The moment a man begins to put his confidence in his own mind… in his personal criticism of Scriptures, he is finished as far as divine revelation is concerned.” You must choose the principle on which you will guide your life, on which you will study the Word, and on which you will serve the LORD. Come to the cross. Take the place of death to self. Glory in the LORD. The Holy Ghost will illuminate the Word in a way that human wisdom cannot and give you understanding. What place does the King call home? What is the address of the high and lofty One? Where does the One who inhabits eternity make His dwelling? What a mystery it is, that the King of eternity, the One who lives in the high and holy place would also dwell with the humble. The creator of all things was born in a manger. How do you come to grip with the fact that the same God by whom all things were made and without whom was there nothing made that is made, who upholds all things by the word of His power, holds my hand when I am lonely? How do you come to grip with the fact that the same God who reclines in the big dipper and props His feet up on planet Earth will stop in His tracks at the weakest cry of His weakest child? How do you get a hold of the fact that the same God who measures the sea in the hollow of His hand, who meets out the heavens with a span, who takes up the dust of the Earth as if it was a small thing, is yet touched by the feelings of my infirmities? When I think about His holiness, His majesty, His righteousness, and the glory of who He is, I can’t help but be amazed at the fact that He wants to make His dwelling with me. He has taken up residence in my heart and I couldn’t be happier. Arnold Cook makes a wonderful point in his book, Historical Drift which we all must keep in mind as we study the Word of God and teach and preach its principles. I again argue for a view of Scripture that begins with the question: “What appears to be the clear pattern in the Bible?” In our academic sophistication we easily forget that the Scriptures were written for the ordinary believer. The vast majority of Bible readers world-wide have no access to commentaries, seminaries nor even a formally trained pastor. But they do have the Holy Spirit to illuminate their understanding. Let me take this a step further. Not only do many lack the access to “theological resources,” but many Christians and potential Christians (everybody) do not have the ability to read or learn through written means. We easily forget in Western culture that most of the rest of the world is comprised of oral learners, they learn through audio visual means. I have no problem with Biblical scholarship, in fact, I support it and I practice it to the best of my ability. However, do we not at times over-complicate matters? Do we do more harm than good for ourselves and others by constantly question everything when the Bible clearly teaches that God’s Spirit will lead and guide us into all truth? The Holy Spirit is the key to understanding God’s Word. Again, I don’t wish to oversimplify. I do, however, attempt to re-prioritize. We need to be in tune with the Spirit. Let’s allow the LORD to open up our understanding as He illuminates the Truth revealed in Scripture. In a world of confusion and questions, we must have a clear sound for those who Cook calls the “ordinary believer” as well as those who will never have the ability to read a single word of Scripture for themselves. Body of Christ, Who’s In? This is the question that was posed on Twitter by a friend of mine. Although the question was not directed to me, my wheels immediately began spinning. I’m not sure that the tweet expressed my friend’s true question. My response to the question as stated would be, Yes, only those who believe Acts 2 are a part of the body of Christ. In fact, I believe that anyone who rejects any portion of Scripture would be exempt from the body of Christ. It makes no difference if it is Acts 2 or Isaiah 48. However, I don’t believe that this is the question my friend was asking. I believe he was asking if those who do not interpret and apply Acts 2 as Apostolic Pentecostals do are a part of the body of Christ. 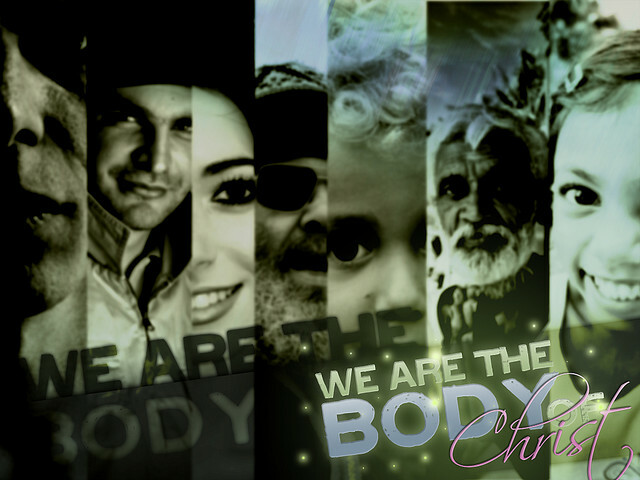 In order to answer that question, we must answer the question, How does someone become a part of the body of Christ? The Word of God speaks a clear answer. We are baptized into the body. The Greek preposition translated by is en – the same preposition is used in Acts 1:5 (ye shall be baptized with the Holy Ghost not many days hence.) We could translate this verse, “With one Spirit are we all baptized into one body…” When we are baptized in the Spirit we receive Christ into our lives and become a part of the body of Christ (read also Ephesians 2:13-22). This is exactly what happened in Acts 2 when Peter stood up and delivered his sermon. When the people were convicted and had faith to accept the sacrifice of Jesus he commanded them to “Repent and be baptized…and you shall receive the gift of the Holy Ghost (Spirit)” (Acts 2:38). That being said, let me add one more thing, and I believe this will get down to the real issue that my friend was concerned about when he posed his question. Only those who have believed and applied Acts 2 are a part of the body of Christ. However, we must be careful not to have an “us versus them” mentality. What if Peter would have had an “us versus them” mentality concerning Cornelius? What if Aquila and Priscilla would have had an “us versus them” mentality concerning Apollos? This world is full of people like Cornelius and Apollos. They love the LORD and are sincere in their desire to please Him. They need someone to preach the truth to them that they may be a part of the body of Christ.